Good budget accommodation. the grounds were well maintained and staff are friendly. Rooms are old and need renovations but this is a budget resort that has villas. Was close to the boats for our trip out to Nusa Penida. 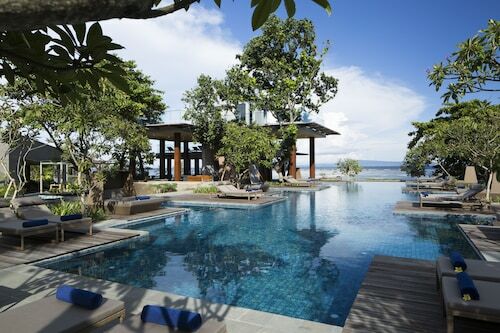 Nicest hotel we stayed at while in Bali. The pool needs a clean but it was very reasonably priced for what we got! We didn’t get our pool view that we requested! Had a good time! Only stayed here one night. Loved it, super cozy bed, warm shower, clean room, friendly staff. Right by the beach. Had a “garden view” and the beach was about a 30 second walk from my room. Would definitely recommend this place. 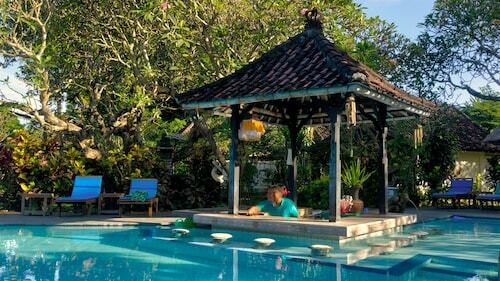 Very close to Sanur beach and market. Near the tourist shops in Sanur Beach. 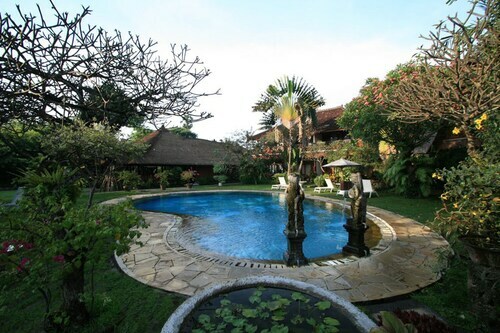 The hotel is on Sanur Beach, with direct access to both the beach and the front road with all the shops/restaurants/bars.